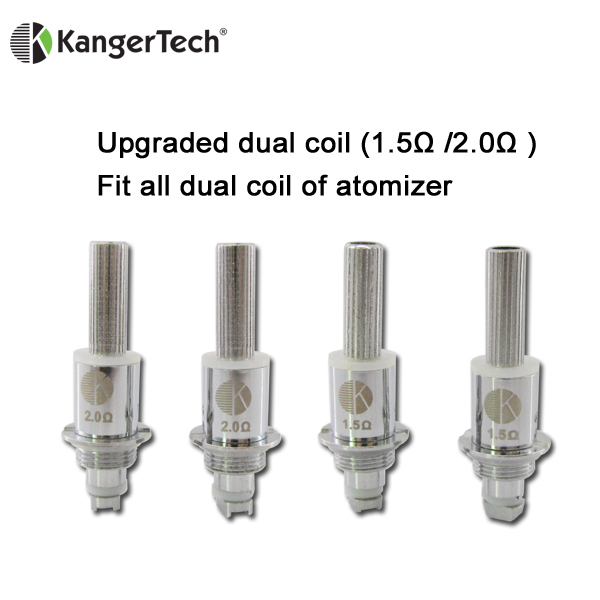 Kangertech has been very busy so far this year, producing an even larger range of products for the consumer who enjoys tasteful E-cigarette products with a performance to match the style. Today’s review features one of their new starter kits, the Emow 1300mah. The Emow kit arrived in a slim well-designed box, featuring a picture of the Emow on the front, which is an exact replication of the actual size of the unit to found inside. On the rear is a list of the contents you’ll receive with this starter kit, and their new authentication sticker along with the product security code online verification system attached below this. Kangertech has also included a sample of the authentication logo on a sticker inside the box. These two methods will help you confirm that you have purchased a legitimate Kangertech product, rather than a cloned copy. Removing the inside container from the outer shell, you will find the Emow securely held in the centre by two slightly protruding plastic moulds. Simply ease both of these to one side and remove the new device. Attached to the 1300mah Emow battery are the Clearomizer and a sticker with quick start instructions printed onto it. Please be sure to remove this sticker before operating your device. Lifting the now empty plastic container up by the two finger grooved cut outs on each side will reveal the rest of the contents to be found inside. These include a user manual, one pack of five replacement 1.5ohm coil heads, an adapter, a USB cable, along with the authentication logo that I have already mentioned. Also please be sure to check the warranty period should it be included with this device prior to purchasing. Kangertech is clearly not a company to sit on their laurels and seem to be ever advancing the technologies and performance standards of their products, which can only be to the benefit of us the consumer. I have included a breakdown of the Emow for you to see how many times the word New appears. 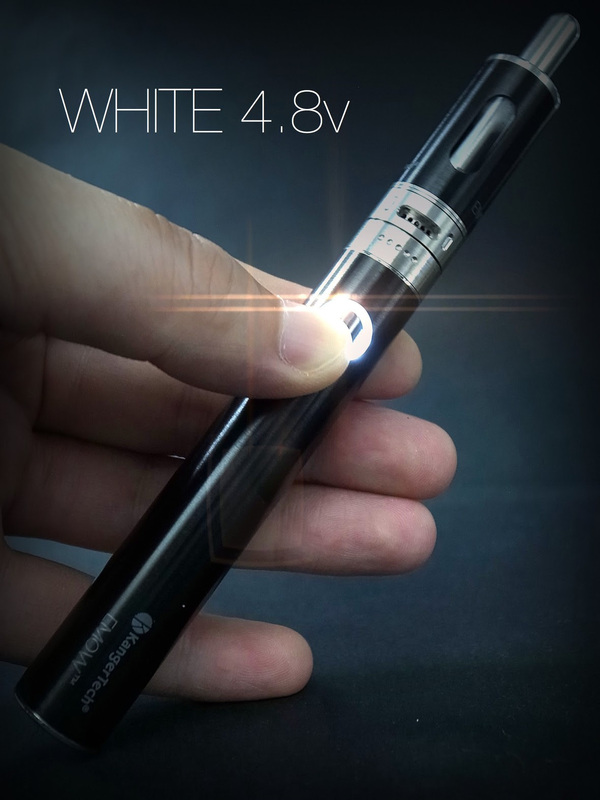 One new Emow VV Battery: 1300mAh adjustable voltage battery, which can also fit the vision spinner 2 battery as well. 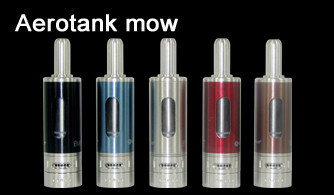 The all new Aerotank Mow Atomizer, which comes in a matching Pyrex glass and Stainless finish and holds 1.8ml of E-juice. The two Pyrex windows on both sides of the tank allow for easy viewing of your current E-juice levels. A new upgraded dual coil low resistance head assembly, in Stainless Steel, and the all new Airflow Control Valve V2 helps to contribute to a large vapour output for its size. I think you get the idea! The Emow also comes in a choice of five different colour configurations allowing for a greater range of choice, and customer satisfaction. These can be viewed on the Kangertech website or at your local authorised Kangertech dealer with the standard 510 eGo threading. The inclusion of their new air control ring is another smart and useful addition that allows for a balanced adjustment of the air intake. As this is a bottom fed tank the airflow ring is situated just above the thread for unscrewing or attaching the tank to the main body of the device, you will be pleased to know that Kanger have again made the control ring smooth but firm as they have done with the Areotank Mega and Mini, so slippage is unlikely to occur with this version as well. Likewise, the drip tip supplied with the Emow is very comfortable to vape with, helping to produce effortless vapour output. A suggestion for using this is to try a smaller opening when Vaping thicker E-liquids, and increase it for thinner liquids as a rough guide. Remember less air flow will create the sensation of a tighter draw, and a larger airflow will create that of an airier one. If in doubt adjust the airflow ring until you find the balance that best works for the juice you are using at the time. The sleek and stylish battery housing includes a five press on/off button that is very comfortably situated for ease of continued use. Five quick presses inside two seconds will activate the battery power for your device, displaying an illuminated rainbow effect for visual confirmation of this around the power switch. You now have the choice of three simple but useful preset power options. 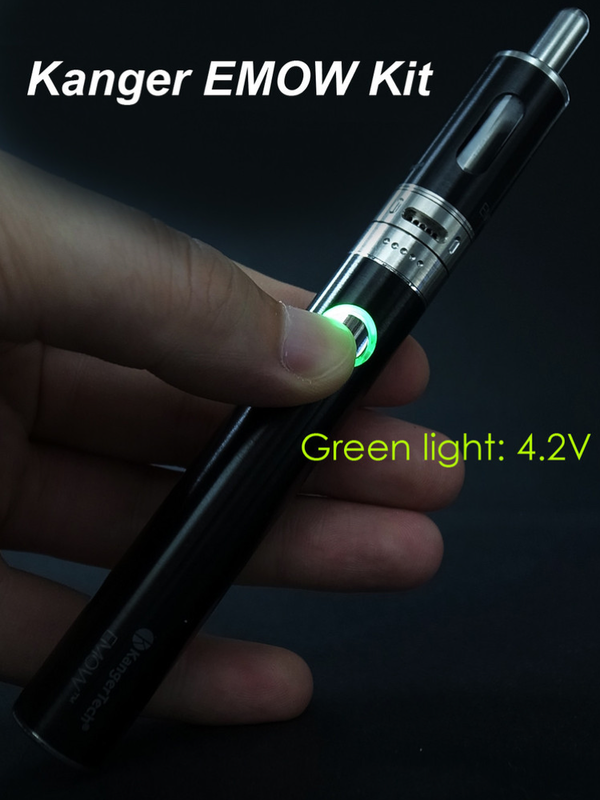 By pressing the power button three times in quick succession inside one, second the colour display around the power switch will change each time you perform this action from Red 3.7v Green 4.2v and White 4.8v. When the battery power is low, the circular window around the power switch will flash fifteen times. At this point connect the USB charger as shown in the instruction booklet and recharge the device. For the purpose of this review, I used the included Aerotank Mow along with the Aerotank Mini & Mega, atop of the beauty ring supplied with the latter. I have also used a selection of different E-juices with varying flavours and PG/VG, mixtures including 100% VG on all three power settings for this device. The first thing I noticed when using the Emow for the first time was its compact and comfortable size. Placement of the recessed fire button is situated right under your thumb as you place it in your hand. Pressure to activate it is minimal, with a soft reassuring, click for confirmation. The battery housing is the first I have used personally that allows me to use a larger tank without feeling that it is overbalanced (top heavy), which is nice if, like me you wish to have more E-juice on board when you’re travelling away from home. That said for most of us unless you are a particularly heavy user, the included 1.7ml Aerotank Mow is more than sufficient for a working day’s vape as is the 1300mah battery size. The three separate voltage options were more than sufficient to produce amazing vapour output from all three tanks included in this review. If you have read my reviews on the Aerotank Mega & Mini, it will come as no surprise that vapour production, as well as flavour representation, is also superb using the included Aerotank Mow as well. The air adjustment ring is firm but smooth to operate, and when combining this with the three voltage options included, you have a great variety of choice when setting the best flavour vapour balance for your brand of E-juices and personal tastes. And don’t be in the least bit surprised by the amount of both vapour and flavour produced! Venting of the tank appears to be sufficient, with the inclusion of six small holes around the circumference of the bottom of the battery housing. I have been amazed over the last month at just how far advanced the new technologies have become over their predecessors, particularly in the case of the newly designed clearomizers. They have the ability to produce a flavour that I would only have expected to experience using my more expensive RBA’s. This is a very elegant device with excellent performance for its size, around that of a fountain pen, and fits very nicely into your inside jacket pocket, or your wife’s handbag as I have found out! 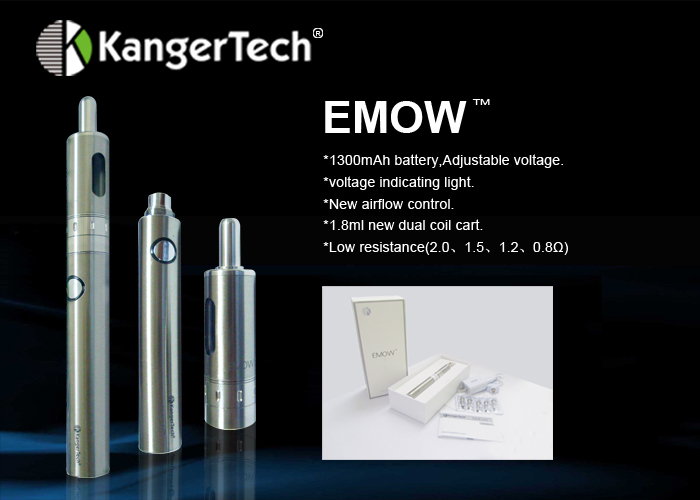 Kangertech also produces a larger version of this unit called the Kanger Emow Mega which I hope to review for you at some point as well. My advice is, vape it but don’t try to sign cheques with it just yet! For further details on the Emow, Prices, and to enter your unique product security code to identify its authenticity, contact Kangertech directly or your nearest stockist. 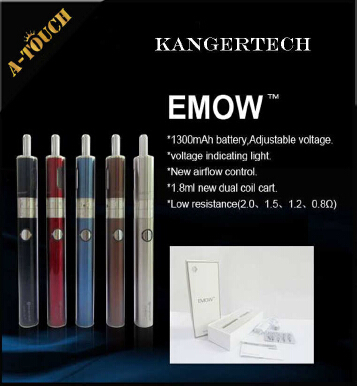 Thanks to KangerTech for providing the Technical specifications for this review and Images of the EMOW. MY EMOW WENT COMPLETELY DEAD. I SENT PICTURES AND EXPLAINED THE PROBLEM. I HAVE NOT HAD A RESPONSE WHAT-SO-EVER. I CAN’T GET A HOLD OF ANYONE TO TALK TO. I HAVEN’T RECEIVED ANY E-MAILS EITHER. WHATS UP WITH THIS? COULD YOU POSSIBLY HELP ME WITH THIS? 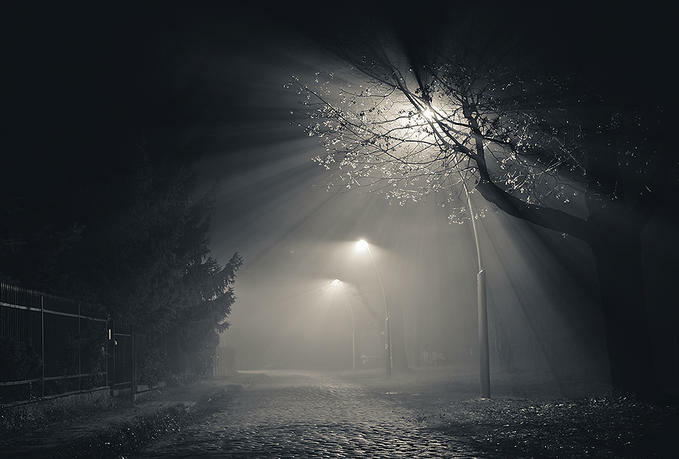 Here are two links that may help you with your problem. I intended to cosmope you a very small remark just to thank you so much over again for your marvelous suggestions you have contributed at this time.It was really particularly generous with you to supply without restraint what exactly a lot of folkscould have sold as an e book to end up making some bucks on their own,certainly now that you might have done it if you considered necessary.These thoughts likewise served like the easy way to recognize that the rest have similar zeal similar tomy own to find out good deal more when it comes to this condition.I know there are thousands of more enjoyable instances up frontfor people who read your blog post. THANKS, I DID TAKE IT TO THEE DEALER (GREENEVILLE VAPORS) IN TN. HE TOLD ME NOT TO COME BACK TO HIS SHOP. THEY LAUGHED AT ME ABOUT IT AND SAID THEY WOULD NOT SEND IT BACK TO KANGERTECH. IT’S STILL UNDER WARRANTY FROM KANGERTECH, BUT AT THIS SPEED, i’M NOOT FOR SURE WHAT TO DO! 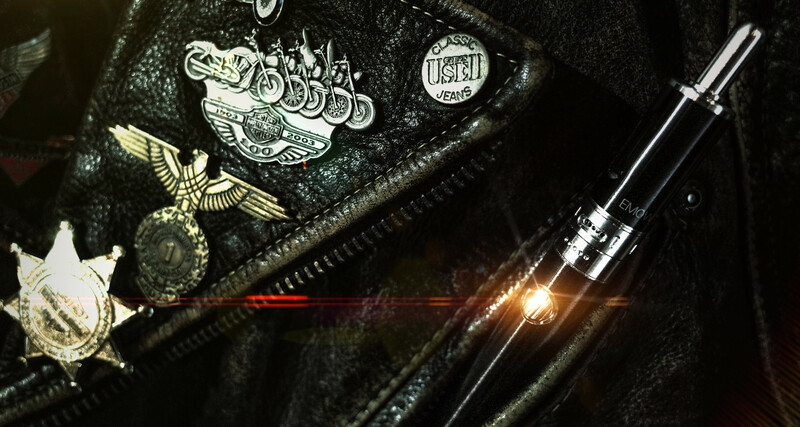 FINALLY….a superb tank and refreshing quality vape! Been vaping 2 yrs and spent a lot of money on other mods,tanks,brands. This is indeed the best product I have used!,,,THANKS TO MY FRIENDS AT KANGERTECH! I’ve had my emow for a little over a month now. I seem to burn through coils twice as fast as my wife does with hers. When we purchased them, we were told that opening the air flow more will give more air to the coil and make it last longer. Since then, I have been told by someone else who is in the vape business that reducing the airflow will make the coil last longer. Can someone tell me which is true? I keep the voltage on 4.2v most of the time. Keep the voltage at the middle setting or talk to your vape shop and get coils with a ohm reading more suited for the voltage. when charging the battery, what color should the light on the USB plug be? Green? Red? Also does the light on the battery remain on while charging or off? They should be only too please to help you. Got the flavour solved simple fix but had a couple of questions on my battery. First of all when charging should the light be red and then have a really quick flash of green and then back to red again, on the screw in part not the actual battery? Also I’ve only had it for 2 days going on my third and I noticed that when I was pressing the button the light starts out bright but then begins to fade is that normal because before it just stayed bright the whole time I was pressing it! I would really like some more info on my battery like when should I charge it and should I let it completely drain first as well as info on the charger too because the user manual wasn’t helpful at all it was poorly written and difficult at times to understand thank you! In a nutshell, yes it takes up a great deal of my spare time in testing and research, plus posting in order to get it right. But the feedback so far makes all the hard work worthwhile! Very best of luck with your blog. Der Internet Editor macht die Erstellung einer Webseite ganz leicht. Translated:The Internet Editor makes creating a website easy. What’s up it’s me, I am also visiting this web page regularly, this web page is truly fastidious and the viewers are truly sharing good thoughts. and additional information, is there any other web site which offers such information in quality? Can I simply just say what a comfort to uncover a person that actually understands what they’re talking about on the web. Thanks for finally writing about > The Emow – VAPE ON WATT REVIEWS LIMITED < Loved it! Whastva great, helpful article this is! Very well done indeed! Thank you!! I just recently this month got this emow and I couldn’t love it more. I was confused like most as first by how fast the fluid went and the battery settings, air flow, even if it was charging cause the instruction book for lack of a better word, sucked! It really didn’t go in any detail or information the user needs to know. But other than the instruction book and having to look online to figure little things out, I love it. Yes people, you are going through more fluid, it’s a better vaporizer and doesn’t just barely heat the fluid. You actually get what you are supposed to from a vaporizer not just old fluid sitting in s plastic tube for several days. Which even cheap pens tell you to clean those constantly to work correctly. I got a cheap one to start and then went to this. I worked my way off cigarettes and lowering nicotine each week. It’s worth the money. It’s worth the fluid since it’s cheaper for a bottle of fluid that last almost two weeks depending on how much you cape to 6 for a pack of cigs a day. So thank you for your article, cause I know when you first get one, or you are just wanting one, it’s confusing. So this is very helpful on all levels!!! I’m pleased you decided to make the change! keep you away from the old habit!